Two boxes of the "Coleco" version exist. 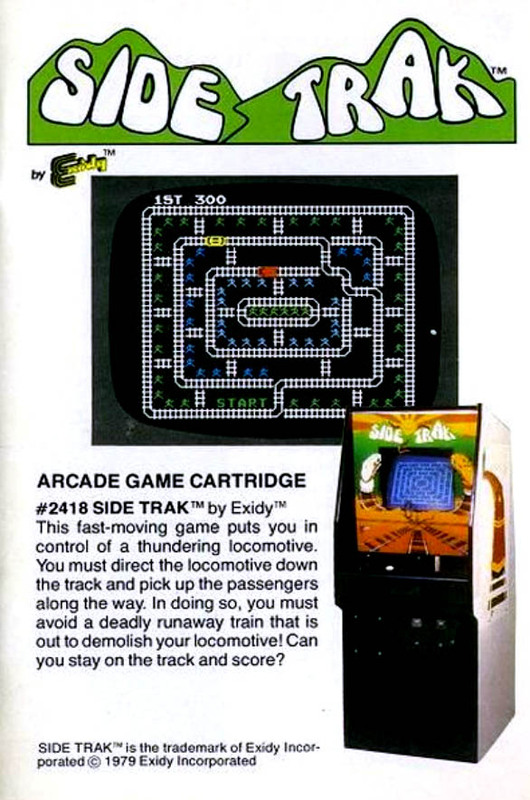 This fast-moving game puts you in control of a thundering locomotive. You must direct the locomotive down the track and pick up the passengers along the way. In doing so, you must avoid a deadly runaway train that is out to demolish your locomotive! Side Trak was finally programmed by Russ Kumro. 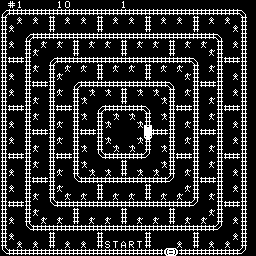 He took inspiration from Exidy’s arcade game of 1979 and from the illustration screen of Coleco’s catalogue. The game was released by Collectorvision in 2012. Note that music and sound effects were made by Daniel Bienvenu.